Catherine Zeta-Jones & Monica Bellucci, who's prettier in their best time? Alexandra Daddario & Dianna Agron, who is prettier? preferito Movie About Native Americans Relations? 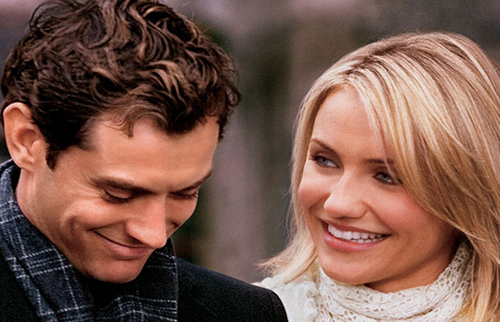 What is your preferito romantic comedy? ciao guys I need your help. In which movie is the line "impacts are killing people" detto and who says the line(actor's name). Its a male voice and I think the movie grossed 2 billion. Those are the clues I've been given. What is the most positively difficult film te ever watched and why? 2018 had some really good films that are worth talking, so this lista is about my personal preferito films of the year. Two honorable mentions go out to the direct to DVD animated film Batman: Gotham da Gaslight and the Aardman film Early Man. It’s 1977 and four college Friends who parted ways years fa have reunited for what’s supposed to be a raucous bachelor party. Instead, time has brought a few changes and they find themselves on a treasure hunt down Kentucky’s bluegrass bourbon trail. The story starts simple and slowly unfolds into a twisted maze of greed, guilt and murder. This is “Bullitt County” -- the new indie film currently in limited theaters da AMC Independent and set to launch on VOD/DVD in early 2019. Everyone has a bad giorno once in a while, right? Now, imagine having your worst giorno ever. That’s the basic premise of the new action-comedy feature film “Monday,” starring actor Jamie H. Jung as a slacker whose giorno goes from bad to worse to holy sh*t.
Tammy was lured back to Colorado da the role of Theresa, a smart and sassy mother of three grown children who catch their mom off-guard at their family cabina with her secret fiancé, portrayed da Pete Gardner of “Crazy Ex-Girlfriend” fame. Her sons decide to put their mom’s new beau to the test to see if he’s good enough to unisciti their Mann family. New Yorkers Amore a good pizza. It’s a classic taste of the city -- and so are the owners of the local pizzeria shops. But, what happens when te get a well-intentioned younger generation moving into the neighborhood and looking for a change? This culture clash is the subject of the indie short film “The Kids Menu,” pitting a young mother (Nyle Lynn) on a mission to get a kids-friendly menu against a steadfast, traditional pizzeria owner ("Soprano's" preferito Vincent Pastore). The Men in Black have always protected the Earth from the scum of the universe. In this new adventure, they tackle their biggest, most global threat to date: a talpa in the Men in Black organization. a comment was made to the poll: preferito film based on a Stephen King novel? a comment was made to the poll: Alexandra Daddario & Dianna Agron, who is prettier? a poll è stato aggiunto: preferito film based on a Stephen King novel? alloro and Hardy . . . Happy New anno . . .